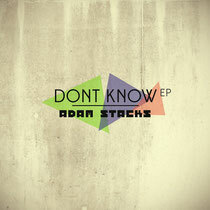 First one of the week and today it’s the turn of Adam Stacks with his new track ‘Don't Know’. It’s actually called the ‘Don’t Know EP’, although it’s actually just the one track with an original mix, a dub and a Rock N Bass mix. The dub does exactly what you’d expect, stripping back the original. The Rock N Bass mix adds a different element to the track, changing its melody and adding a more grittier-based sound. Our fav mix though is the original, as it’s just a nice slice of 4/4 house music. 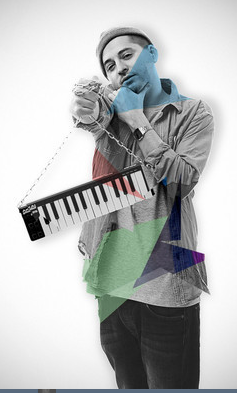 The track moves along before being joined by catchy keys running over a chunky beat, then it breaks down and a vocal comes in and the tone of the keys change. The vocal says (we think) ‘don’t know, if I’ll make that’, which is repeated throughout the breakdown, then the chunky bassline kicks in again, with the odd snippet of vocal. It’s a nice start to the week, a decent happy tune and is a good follow up to Adam’s successful ‘Love Affairs EP’. It’s out now, check it out below. Hey would you mind letting me know which hosting company you're using? I've loaded your blog in 3 different web browsers and I must say this blog loads a lot quicker then most. Can you recommend a good internet hosting provider at a honest price? Many thanks, I appreciate it!